A heavenly being who sent his son, Kosuke, to Earth as a baby with the same selfish intents as Margarette; to choose his son for the tournament so that he himself could benefit. Unfortunately for him, he was not chosen as a King of the Celestial World Candidate, as Margarette was. He does, however, seem to express regret when he meets up with Ueki and company later in the anime, not revealing his true identity to Ueki due to his shame. Pag also teaches Ueki a way to advance to his Level 2 power stating that it would be "the first and last time" he would aid Ueki. 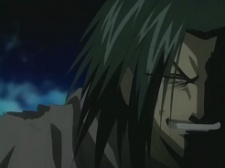 It is to be known in a later episode that he is Ueki's real father.